It’s time to think about honoring yourself as a nurse. May 6-12 each year is National Nurses Week (and note there’s no apostrophes in there.) The American Nurses Association designates a theme each year and for 2018 the theme is Nurses Inspire Innovate Influence. Consider how these terms fit you, your career, and how you practice as a nurse. Take these terms and apply them to how you will honor yourself during this week of celebration of the nursing profession. Many employers and even civic leaders take the opportunity to honor nurses, but all too many do not. Some employers feel it makes others feel left out and sadly they don’t honor any professionals during their special week. On the other hand, some nurses are never satisfied with the token gifts. In reality, an extra week of vacation, a raise, a new car, etc., are just not affordable. Like most things in your career, honoring yourself needs to take precedent. The nursing profession affords many rewards, but most of them are ones that nurses derive themselves from the satisfaction the get out of helping people. One of the best ways to honor yourself is to do something that helps you with your career. Self-care includes doing something to make your work life easier and better. Improve your knowledge base, learn or polish a new skill set, work towards a certification or an advanced degree. All of this can be accomplished through continuing education courses for nurses. You can even find ideas and pathways to something you didn’t even know you would be interested in or could achieve by exploring all of the options in CE courses. Nurses Week takes place each year May 6-12. It is celebrated worldwide in the same time frame with some variation. Nurses Week in the U.S. begins with Nurses Day on May 6 and ends on International Nurses Day which is May 12. This is also the anniversary of the birth of Florence Nightingale who is considered one of the primary founders of modern day nursing. Student Nurses Day is designated at May 8, and National School Nurse Day falls on the Wednesday during Nurses Week. It wasn’t until 1974 that the subject of honoring the nursing profession was brought up again. President Nixon proclaimed that February10-16, 1974 be National Nurses Week. After that the next mention was by a New Mexico Congressman, Manuel Lujan, who submitted a resolution that was supported by the American Nurses Association to establish May 6, 1982 as National Recognition Day for Nurses. In 1982, Congress designated May 6 as National Recognition Day for Nurses and President Reagan signed a proclamation on March 25 in agreement. In 1990, the Board of Directors of the American Nurses Association took control of recognition of nursing professionals and designated a week-long celebration. By 1993, the permanent dates of May 6-12 were established by the ANA to celebrate National Nurses Week. In 1996, May 6 was designated National RN Recognition Day, and in 1998, National Student Nurses Day was designated to be May 8. By 2003, National School Nurses Day was established and set to be recognized on the Wednesday of Nurses Week. Each year the ANA designates a theme and provides a toolkit of logos, banners and other graphics and promotional tools as well as merchandise to purchase to celebrate Nurses Week. 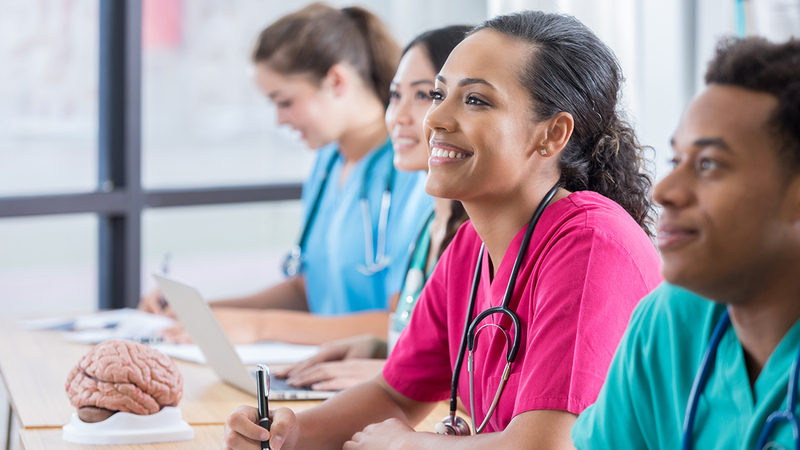 One of the offerings they have included for the past several years is a free continuing education course for nurses and have encouraged an emphasis on CE courses to be at the forefront of any celebration of nurses annually. Continuing education, whether required or not, is one of the most valuable gifts a nurse can receive or purchase for his/her own personal improvement. Nursing is a lifelong learning adventure. Utilizing continuing education courses is one of the best means of meeting best practices that can be passed on to the patient. Quality patient care and outcomes will continue to improve through nurses continuing their education. To honor yourselves as nurses, think of ways to improve your ability to Inspire, Innovate and Influenceyour own education and career. Give yourself the gift of continuing education this Nurses Week to help enhance your knowledge and skills. Reward yourself for all that you do to make a difference for your patients.